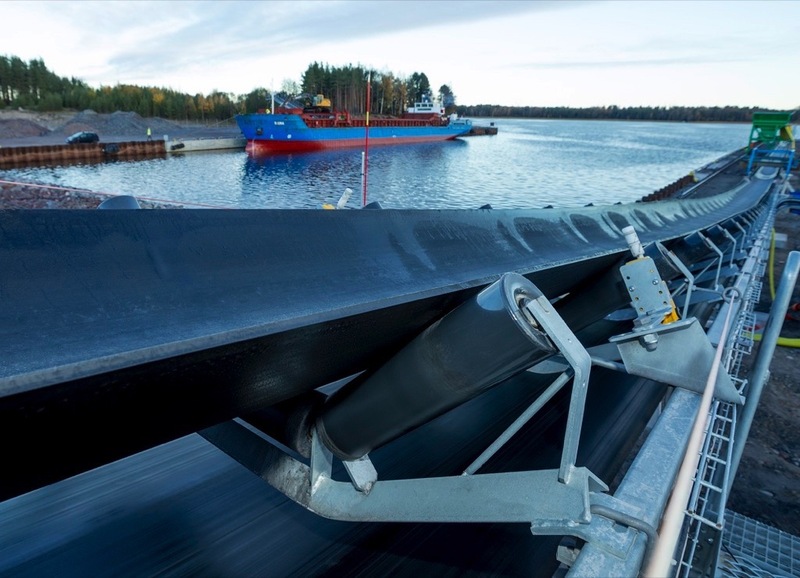 Hannover, Germany – Conveyor belts designed by technology company Continental are being used to transport rubble from one of Sweden’s biggest infrastructure projects: “Förbifart Stockholm” (Stockholm Bypass). The bypass, which is situated to the west of the Swedish capital, has been under construction since 2015. Most of the bypass is being built underground, and it is intended as a north-south link to reduce the volumes of traffic passing through the center. 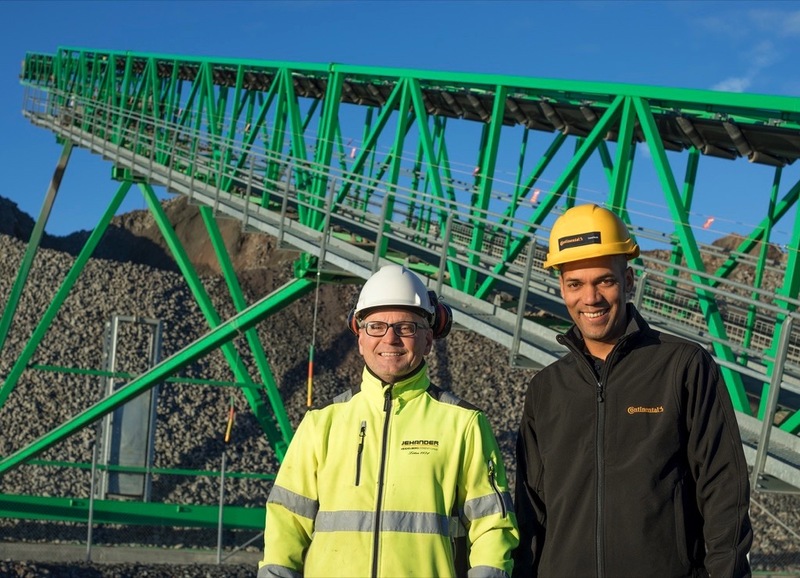 HeidelbergCement’s aggregate company Jehander is using Continental quality solutions at its Löten quarry near Stockholm to enable rubble from the mega-tunnel to be reused for road construction. The new 21-kilometer “Stockholm Bypass” highway link is being built on the outskirts of the capital to cope with the city’s continuous growth and make everyday life easier for residents by reducing traffic jams and improving air quality. More than 18 kilometers of the bypass are up to 80 meters below ground level and pass under Sweden’s third-largest lake (Lake Mälaren) in three places. Once the bypass opens (scheduled for 2026), as many as 11,000 vehicles an hour (145,000 vehicles a day) will pass through the two separate tunnels traveling on three lanes in each direction. It would be easier to build an overground system of routes and bridges. But Sweden is a leader in sustainable urban planning and is very focused on environmental preservation – so constructing a tunnel is the best approach under these circumstances. The self-confessed goal of Sweden’s Ministry of Transport is also to complete the project creating the smallest possible CO2 footprint in the process. Constructing mega-tunnels like the Stockholm Bypass project generates several metric tons of rubble. 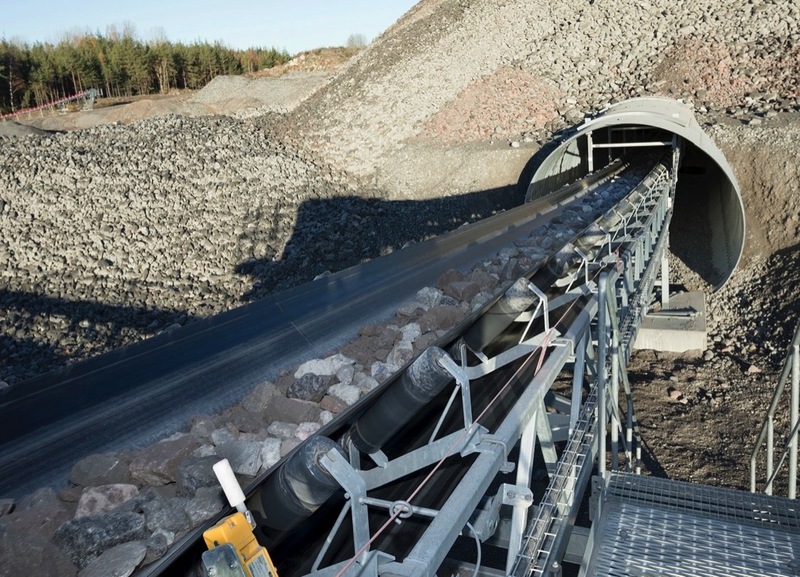 A series of conveyor belt systems are being used to transport the extracted rock to three temporary ports that have been set up for the project. The rubble is taken across the waterways by inland vessels from the construction site in Stockholm to Jehander’s quarry in Löten. Transportation by sea has proven to be a much more efficient mode of transport than using truck fleets. Ships can carry between 1,500 and 3,000 metric tons of rock per load, whereas trucks can manage only 35 metric tons. As many as four fully loaded ships a day arrive in Jehander’s port. Service partner Continental’s tight-knit network means that it can offer its customers a local service with everything from a single source – from technical advice, extensive planning and engineer-driven development all the way through to manufacturing, installation, commissioning, maintenance and monitoring for complex conveyor systems and delivery of conveyor belts and components. “Our range of round-the-clock services also includes assistance with conveyor belt replacement and arranging for the belts to be vulcanized or repaired with local partners, where required. This is how we ensure that the systems keep going. It is this combination of quality products, professional expertise, customer focus and our understanding of the local culture that makes us successful on this market,” stresses Grimes. With expert advice, emergency support and an extensive service offer that covers every special case, the technology company ticks all the boxes when it comes to safety and flexibility requirements. What is more, Continental has a suitable conveyor belt in its range to meet customers’ construction requirements – whatever they may be. Steel cord conveyor belts are suitable for particularly high-stress transportation requirements, and corrugated-sidewall belts, which take up very little space, are ideal for building suburban rail networks. They emit very low noise levels, which is especially ideal in cities. They can convey bulk material at vertical angles and lifting heights of 400 meters and clear away up to 6,000 metric tons of rubble an hour. 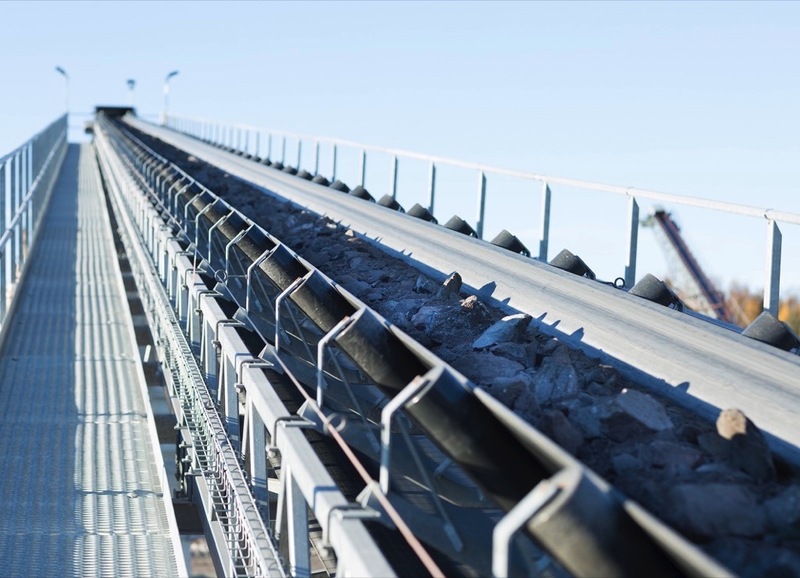 Conveyor belts also have clear advantages to trucks when it comes to tunnel construction. Using them means that no extra exhaust systems have to be installed during the tunnel works, because Continental’s system solutions do not produce any emissions. Sweden demonstrates its capacity for innovation time and again with construction projects like the bypass, large parts of which are being built underground. This fact is also confirmed by this year’s Global Innovation Index in which Sweden is ranked third out of a total 126 economies, behind Switzerland and the Netherlands. “For my whole team here in Sweden, it is really special for Continental to be involved in this major pioneering project,” emphasizes Grimes. Continental products are also passing the acid test for the tunnel expansion part of the project. Stockholm is built on top of solid rock, which poses some real challenges for tunnel builders. Drilling equipment from Epiroc, a leading productivity partner for the mining, infrastructure and natural resources industries, is being used for this purpose as it is able to penetrate the hard rock to drill the blast holes. It can cover transverse sections of rock upwards of one hundred square meters, which makes the process as economical as possible. The drill rigs use as many as three extension arms, which places a huge strain on the tires when the machines are in motion. That is why the drilling machines are fitted with Continental DrillMaster premium tires. High cut resistance, good traction and stability are qualities that are simply essential for tires under these working conditions. The Continental DrillMaster with its V. ply design is the perfect choice here. A highly cut-resistant rubber compound protects the carcass of the tires in environments where there is freshly blasted rock. The tire carcass is also specially equipped for the heavy loads and its innovative zig-zag tread design features a maximum number of gripping edges in all directions. These features allow the machines to cope with extreme gradients and downhill slopes as well as to undertake cornering maneuvers safely. The Stockholm Bypass road is a great project. At some places the conveyor belt do not travel as planned. Thanks to PrimeTracker from Swedish company Versum AB the conveyor belt travel as planned.